These creatures should get an endorsement contract with ‘Night Nurse’, the cold medication to help you sleep. 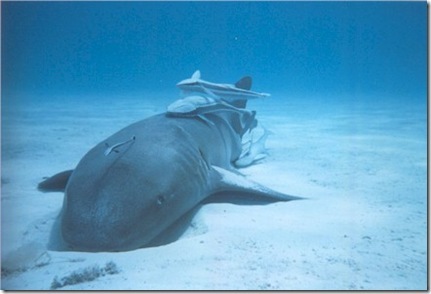 It seems all these Nurse Sharks do is sleep. During the daytime when most dives occur that is. What is most common question I get from folks at resorts when I visit? 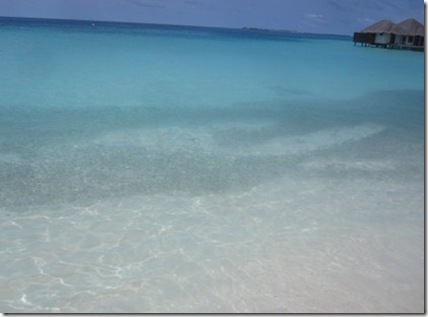 What do I enjoy doing the most in the Maldives? How many times have I visited? 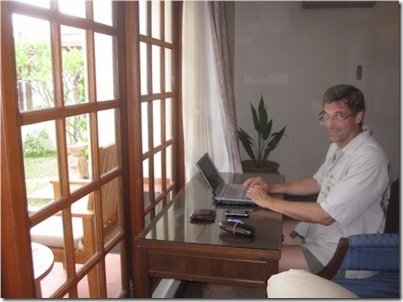 Blogging Fun – One of the most time intensive and most highly trafficked part of Maldives Complete is the blog. This is not my only blog. I also write on the subjects of ‘Leadership and Management’, ‘Embracing Failure’, ‘Dynamic Work’ and ’70-20-10 Principle’. All of those are non-commercial too (as most blogging is). Not related to my day job, no advertising or other remuneration, not selling anything (though I used to sell consulting services around Dynamic Work). 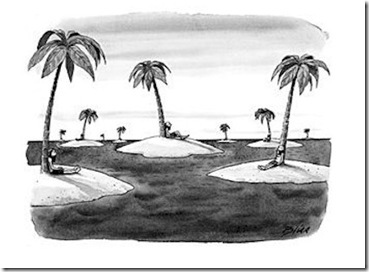 On the occasion of my 600th Leadership/Failure post, I wrote a piece ‘600 Posts Later’ which explained some of my motivations such as iterative improvement, serendipity, purge and process, and handy reference trove all of which apply to Maldives Complete. Non-Zero Chance – As an elaboration of the ‘serendipity’ motivation mentioned above, I later wrote a piece called ‘Non-Zero Chance’ which picked up on Dilbert creator Scott Adams’ explanation for his own extensive blogging. He said ‘I make it a habit to have at least one project brewing at all times that has a non-zero chance of changing the planet, or making a billion dollars, or both.’ Admittedly, the chance of Maldives Complete changing anything or making a dime is miniscule, but it is like a lottery ticket that fuels a bit of ‘just maybe’ fantasy that someday it might turn into something really special. Participate, Not Spectate – I love sports, but to play them not to watch them. I play in a basketball league, coach and row sculls, train at the gym and running. But the latest sport event I watched was years ago. I just prefer to be in the action than watching it. My involvement with Maldives Complete means that when I visit the Maldives, I am not just a visitor here for a few days, soaking up the sun, sights and savouries. I get under its skin. I meet people I otherwise wouldn’t meet and see things I wouldn’t otherwise see. I explore it and then participate in it by promoting it. Perks – Now that Maldives Complete is a serious web site (some authorities on the topic tell me it is the top independent web site on Maldives), the resort owners are interested in helping me with my efforts as they would any publicity. Most resorts have standard protocols for providing ‘media’ with certain ‘comps’ and discounts. I wouldn’t be able to do what I do without the support of these concessions. It’s no ‘free holiday’. First of all it’s not free. We spent more money on our most recent trip than if we had simply booked a simple package (because we had such a chopped and changed itinerary). Secondly, it’s not exactly a holiday. Each day we pack up to move to yet another resort to visit, I take a tour, I take photos, I take notes, I write pieces, I meet with people. Very little of the typical lounging by the pool. Transport Me Away – When I am sitting in my den on a dreary, drizzling, chilly British day (as I am right now! ), and I bring up Maldives Complete or some email from resort marketing manager sending me some fresh resort photos, and I feel transported away to this tropical paradise at least in my escapist fantasy mind. World Community Service – I come from an upbringing of community service. My father was a clergyman and my mother ran a community centre. Maldives is a strong and vibrant nation, but it is still growing and has lots of development to do for its citizens to achieve higher living standards by conventional measures. Furthermore, the Maldives is on the forefront of driving environmental awareness and changes so supporting the country helps support that cause too. Maldives Complete is a small contribution to help more people find out about the Maldives, visit there to spend their money, and help build the country. Purple Cow Evangelism – I’m a big fan of Seth Godin and especially his notion of ‘Purple Cows’ – ‘remark-able distinctions that unpin all great marketing.’ Maldives Complete is both a chance to practice what I preach and promote the concept (through the Best Of) section. Ego – Like most creators and their creations, I am proud of Maldives Complete. Though not perfect, many of the things I’ve pulled together with the site and how I’ve done them. I do get a small buzz when the Aquest Stats shows that it has hit a new high for visitors. But the biggest thrill when someone takes the time to email me saying how much they loved the site and how helpful it was for them planning their Maldive vacation. And that fan mail is coming more and more frequently these days. To feed or not to feed. That is the question of an increasing number of eco-activists. Certainly one problematic area of fish feeding is visitors taking it upon themselves to feed fish bread and other items purloined from the restaurant. This sort of ill-informed feeding can actually be very harmful as it can throw off the diets of these fish in subtle but critical ways. No visitor should ever feed a fish themselves. 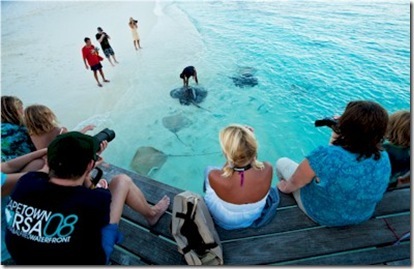 However, fish feeding has been a common feature at various Maldive resorts. Typically around sunset, the resort will bring out kitchen scraps of fish and feed them to sting rays, reef sharks and other scavenger fish who quickly learned to show up for this routine feast. These feeding sessions are more informed about feeding the right things to the right species. But does that make it right? Some activists claim that even this apparently innocuous activity can have long term harmful effects on the species and the ecoysystem. I’m certainly not enough of an expert to assess. Sometimes the argument is simply based on the principle that humans should interfere as little as possible in the natural environment. While I applaud that principle in general, I’m not of the belief that humans should never interfere with the environment. For starters, we humans interfere constantly without even knowing or trying. In order to remedy the environmental impact we humans have we need to muster broad based support for ecological initiatives. Sometimes the best way to muster this political will is to build rapport and relationships between the creatures and the humans. The ‘panda effect’ or ‘polar bear effect’. The more people fall in love with the natural world, the more they will be willing to support efforts to protect it. And seeing these creatures up close through fish feedings can be a way to enhance that affection for and fascination of them. Fish feeding is done in a variety of ways. Kurumba used to incorporate it into their meal prep so that as they we gutting the days catch for dinner, the scraps were fed to a range of sharks and sting rays (they don’t do it any more). 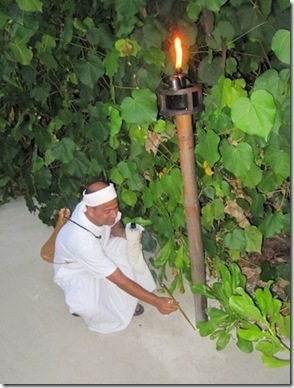 We always remember Filitheyo where they let the guests feed them (supervised and assisted). 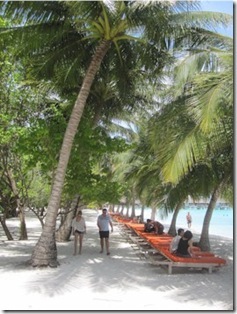 But Reethi Beach’s feeding time is so popular that it attracts guests from neighbouring resorts. More impressive, is that they have built a special viewing gallery for the comfort, safety and view of the guests. Walking along a sandy path under the canopy of coconut tress. 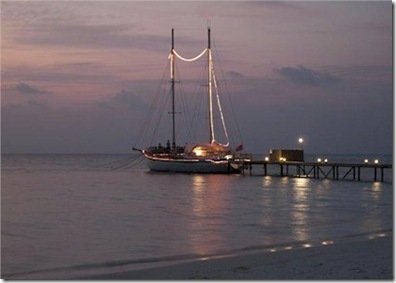 Lori and I love our sunset walks around the island when we visit the Maldives. How could it get any better? Well, that’s what Four Seasons prides itself on. Those little touches that make a spectacle of the already spectacular. 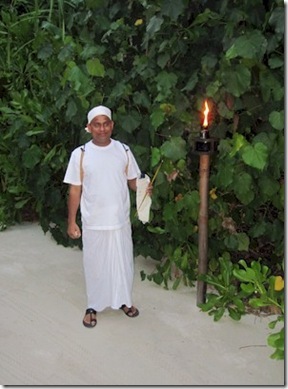 At Four Seasons Landaa Giraavaru, one of the their staff lights torches for lighting (instead of electrical lights) along the pathways that makes them all the more romantic. But that’s not all. He also lights little incense sticks that are put in the sand next to the torches. It gives the evening air a soothing accent making a simple walk to the restaurant or back to your villa even more magical. Well, of course, they are not all that miniscule, but it gets the notion across in a dramatic way. I find that I have to add a bit of hyperbole because most people struggle to truly get their head around the smallness of the islands. When you tell people the islands are small, they think ‘oh, probably takes just a short while to drive around.’ No, it takes a short while to WALK around. But is there an island that actually fits that iconic stereotype. 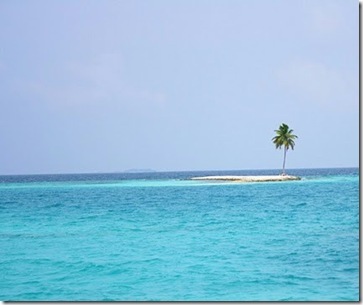 In fact, I use a photograph of such an island as the background to my About page. That’s what I keep find myself saying following Maldive.net.mv’s Twitter stream of, among other things, great scoops and stories on Maldives resorts. Fortunately, my pride is not so strong that I am beyond a plenty of borrowing from their leads (with full and proper attribution of course). And so, @maldives (how did they snare that tag?) has become my richest online source of leads for ‘Best Of’ candidates, not to mention my most frequented Maldive web site of late. Actually, it is more than a website. 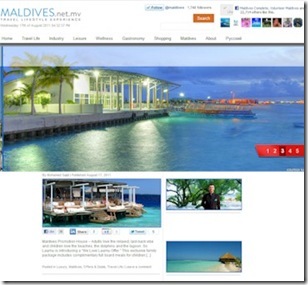 Maldives.net.mv would also be a contender for the ‘Best Integrated Web’ distinction. They seamlessly and effectively use Twitter and Facebook to complement their web content. In fact, their Twitter stream is probably the best on the Maldives itself. It is smart not to simply mirror the same content across all three media, but instead tailor what is shown where and how it is shown. The site at the heart of all this digital activity is a real star in its own right. There is not much advertising, just a discrete area to do bookings if interested and a top banner. The writing style is very current and very professional. None of the ‘destination dross’ that spins out of too many travel writers. Part of their secret is that the site is run and written by local Maldivians. So they have the inside track not to mention heartfelt affection on their subject. Still, sometimes material written by locals can sometimes get out of touch with what really interest the foreign visitors. But not at Maldives.net.mv where the stories and approach remain fresh and on the mark. Bookmark, Friend and Follow it now. My 2011 summer tour was a huge success in ferreting out all sorts of impressive and quirky distinctions of the resorts I visited and elsewhere. After last week’s follow up round of new posts, I am now up to 180 ‘Best Ofs’ with that number again in the wings. I’ve even had to revamp the Best Of page which has given me the opportunity to integrate another great Sakis piece (everywhere I went, people knew about Sakis and his work). Water slide – The ‘water slide’ keeps popping up in Six Senses concept CAD pictures (see above) as a villa attachment. Six Sense Laamu ended up abandoning that design, but why not a simple water slide in a kids pool or even off a jetty into the ocean? 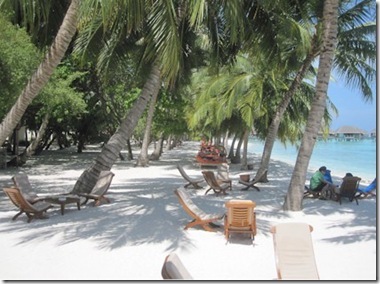 Beach Wheelchair – Another obvious innovation overdue for the Maldives. 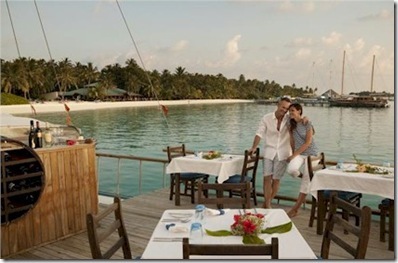 In Ocean Dining – A couple of resorts are offering ‘in pool dining’, but how about ‘in ocean dining’. 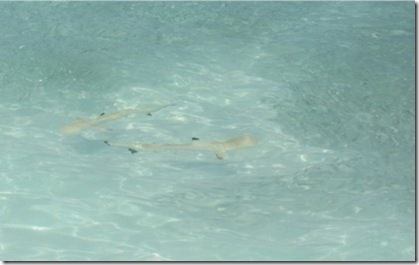 Some shallow lagoon with relative shallow water. Not feet in water or sand, but both! Star Shaped Over Water Restaurant – I was impressed with the W Retreat’s ‘Fish’ restaurant which has an ‘H’ shaped deck for the diners. 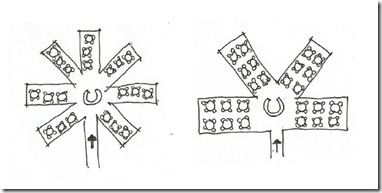 This shape meant that lots of tables could be arranged ‘right over the water’. It made me wonder why more resorts didn’t adopt such a ‘pronged’ decking design to optimise the ‘best tables’ even more. My Dad mocked up some drawings of what I’m talking about below. 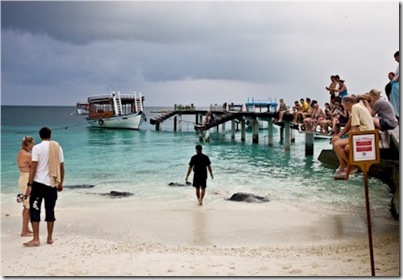 Observation tower – For years now the trend in the Maldives has been to ‘go down’ (ie. underwater) for the super-luxury jaw-dropping attractions. A few top resorts are starting to ‘go up’ with some two story and roof top structures. These elevated places are actually quite appealing because they provide a broader vista over the turquoise and sapphire seas surrounding. For a long time, ‘going up’ has been a big approach to attractions (eg. Eiffel Tower, London Eye, Seattle Space Needle, Toronto Tower). For a super-luxe looking for that next ‘wow’ thing, I suspect this sort of feature might spark some possibilities. Hot Air Balloon – Champagne ballooning…ah, duh. Modify the basket so it floats when it lands on water. No shortage of landing places. Nor shortage of aerial scenery. A senior official in the Ministry of Tourism thought that a resort had tried this years ago, but I couldn’t find any reference to it. Skydiving – A group did a one-off skydiving trip in the Maldives out of Hanimaadhoo airport a few years back, but never followed it up with more. Parasailing is already quite popular and tandem jumps seems like the next step up to enjoy the distinctive views. Banoffee Pie with Coconut Cream – Easy to make. A crowd pleaser. Local ingredients and tastes. Why is this not on the dessert menus? Gourmet sausages – A big visitor population is British and a staple of the English breakfast is the sausage. Lots of people like a good sausage for breakfast and they are easy to prepare and serve. But sausages in the Maldives are always these anaemic little tasteless things. A number of specialty sausages are made from venison and other meats so an enterprising Maldivian could create a small business of gourmet sausages made from something other than pork. The closest I have come upon is Kurumba’s beef sausages. Golf hole from one island to the next – The dearth of golf is one of the great holes (pun totally intended) in the Maldives offerings in the minds of many affluent travellers. And yet the Maldives has such great potential to fashion a ‘Holes to Play Before You Die’. Essentially, a tee on one island with the green on another. The greatest water hazard ever. 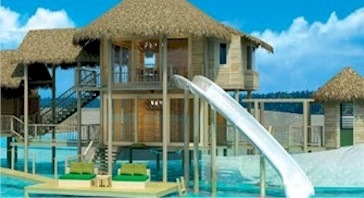 Club Med Kani or Kandooma could set this up tomorrow. Clay Tennis Court – Bit of a old-school, traditional cachet. Less baking hot, easier on your feet and typically more fun for recreational players than asphalt without the difficult maintenance requirement of grass courts. Motorised Hammock – For those who are training for Olympic calibre indolence, I can’t imagine better training kit than a motorised hammock. In fact, I can’t imagine any place on earth that wouldn’t be made better by but the Maldives seems a natural with its soporific qualities. When it comes to Club Med Kani, it is not all go, go, go. But even if relaxing on the beach under the shade of a palm tree is your thing, then Kani does that ‘big’ too. Palm vistas surround the island, but beach side is the most dramatic and about a half kilometre in length. Facing out onto the lagoon, they were planted years ago in striking, neat rows by the previous resident. Forget the thatches umbrellas peppering most resort beaches, this boulevard of palm provides the living, natural, towering shade for as far as the eye can see.